UP election results 2017: PM Modi said he was "overjoyed" with unprecedented support from society. 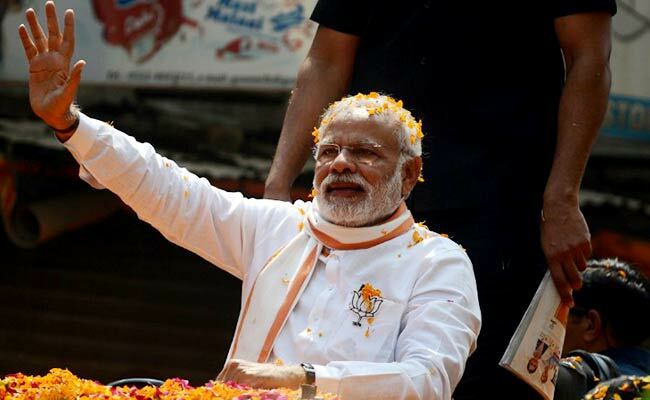 Prime Minister Narendra Modi today said he was overjoyed with the "unprecedented mandate" in Uttar Pradesh, where the BJP today won a staggering victory. "This is very humbling and overwhelming," PM Modi said in a series of tweets. PM Modi said he was "overjoyed" with what he described as unprecedented support from all sections of the society. The BJP has won over 300 of the 403 seats in Uttar Pradesh, India's most important state, and has also won a majority in neighbouring Uttarakhand. Its chief Amit Shah has described it as the biggest election victory ever for any party and said that the verdict is proof PM Modi is the most popular leader since Independence. 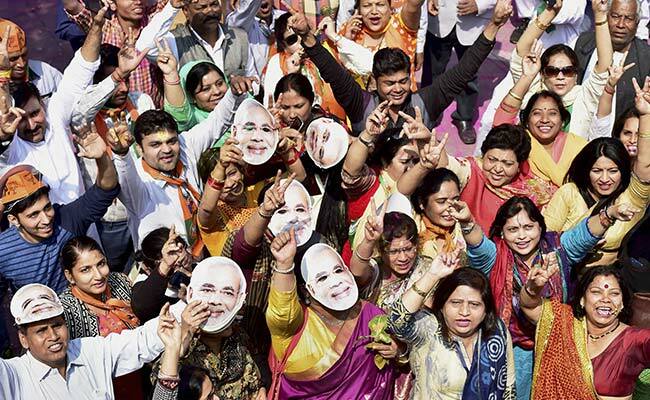 BJP workers and supporters, wearing the mask of PM Modi, celebrate victory in elections. The Prime Minister addressed 24 rallies in Uttar Pradesh and was the face of the BJP's campaign in the state, with the party doubling his rallies in the middle of the polls over worries that it may have had a weak start in the earlier rounds of the seven-phase election. 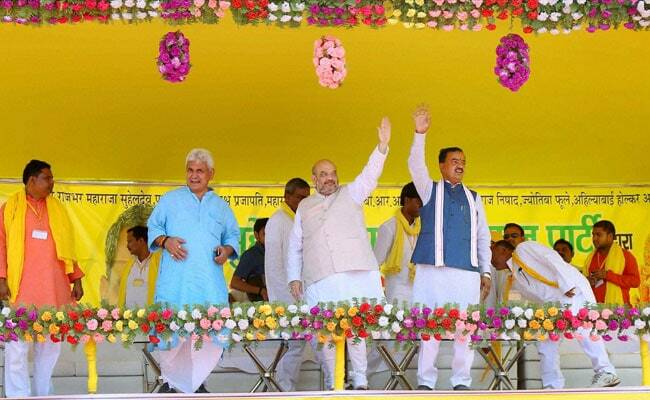 In the final stages of the campaign, Amit Shah camped for over a week in Varanasi, PM Modi's parliamentary constituency and also roped in almost two dozen union ministers. PM Modi was in Varanasi for three days holding road shows in open top vehicles and rallies in the longest campaign by a Prime Minister in his constituency. Amit Shah camped for over a week in Varanasi and roped in almost two dozen union ministers. The UP result has been projected by the BJP as a victory not just for its top leader but also an endorsement of the high-risk demonetisation move that wiped out 86 per cent of the country's cash overnight in November. "Every moment of our time, everything we do is for welfare and wellbeing of the people of India. We believe in the power of 125 crore Indians," PM Modi tweeted. He also tweeted on Punjab. PM Modi also gave a shout-out to Amit Shah and BJP workers.